For the first time, you may send your favorite gifts from RM19.90 via Mail Order. With a min standard RM6 charge for delivery, you can have the gift specially delivered with PPG standard gift wrappings and a lovely gift Card with your special imprinted message. Alternatively, you may also order any of the selected gifts for yourself. 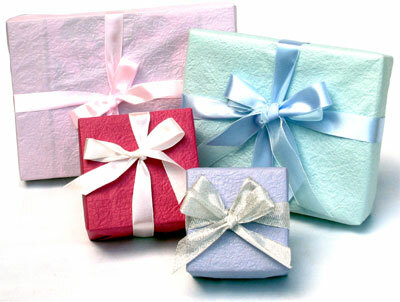 In this case, you may opt not to have the gifts wrapped with gifting accessories. Simply order your gifts via telephone, fax or online and we’ll mail the gifts within 5 business day. Because we want you to have the best choices, we’re constantly increasing our product range to suit your needs. Just logon to view our selections today! Mail Order Service delivers to almost any destination within Malaysia. All order will be sent by PPG selected courier service and the delivery lead time is between 3 days – 5 days depending on the location of the delivery address. All purchases are subject to a minimum delivery charge (per item) of RM6 for all destinations within Peninsular Malaysia and RM11 within East Malaysia. As mail orders are delivered by courier service and not by PPG personal delivery people, we recommend that you provide business addresses of the recipient as most mail orders are sent during office hours. Should you want to deliver the item to a home address, please ensure that there is someone to receive the item at the home address during office hours. In the case where no one is at home, the courier service will leave a note to inform the recipient to collect the item at their nearest counter. Items that are shown without this special icon whether in our catalogs or Online Boutique are delivered in person either by Pods & Petals Giftlab’s Delivery People or our associate. Online through Credit card, Cash or Cheque. We hope to offer you a pleasant, personal shopping experience – right from the comfort of your own home. No driving, no crowds, no bother. Understandably, personalised items cannot be accepted for return. If, however, when you receive your order, it is either damaged or defective, you may return it in new condition and in its original packaging for a prompt credit, exchange or refund. Cancellations will be 50% of total purchase price, and must be made within 4 hours after you placed your order.